Our Denver licensed massage therapist, Durea Blu, LMT (Dur-EE), is passionate about providing professional, holistic body work to alleviate pain and increase overall well being with our patients. She is an expert at a variety of massage techniques that she can customize each treatment session to the patient’s needs or liking. She has vast experience with pain conditions, pregnancy related discomfort, and sports injuries. Durea has vast experience in massage in a variety of settings from a neurology clinic to a high end spa, making her able to customize your massage to your health needs. She utilizes a variety of different techniques that she can customize based on what is needed or at what you request. 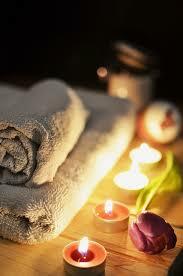 Learn more about our massage therapy services in Denver. If you’d like to schedule an appointment, please contact us or you can schedule anytime online.